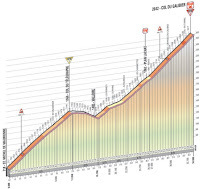 UPDATE: The new stage profile with the finish line next ot the Marco Pantani monument. 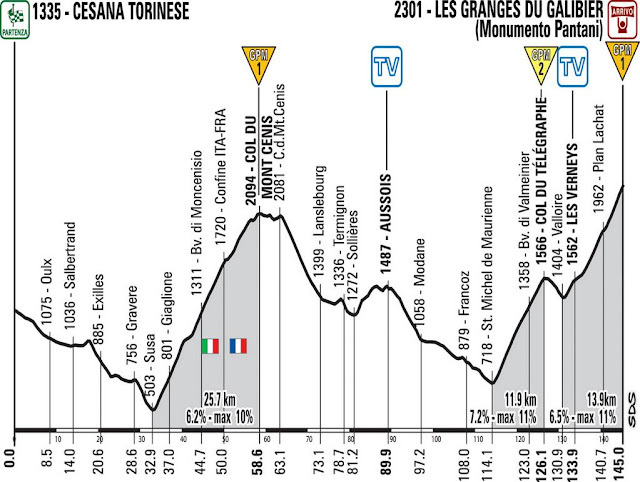 We didn’t see much of Stage 14 on Jefferau, but hopefully we’ll get to see a good show on Galibier. Despite bad weather the stage is - in this moment - set to take place as planned, only with the final 4 km cancelled. That means that the stage will finish at the Marco Pantani monument. A suiting place for a finish line for one of the biggest mountain stages in this year’s Giro d’Italia. The weather can still change many times over night but looking at the profile as it is now, I think a breakaway will make it. Luca Paolini and Sonny Colbrelli almost made it all the way on Stage 14 and that was despite a the cancellation of Sestriere. I think many in the peloton will be happy if a break can get away early on and with 39 KOM points on the menu, I think it’s safe to say that Stefano Pirazzi will be eager to get away on Col du Mont Cenis. Other riders who will be targeting a breakaway are the Colombians. They came to the Giro with big plans for this stage and even though Darwin Atapuma is feeling sick, I think Team Colombia will show their strength. Fabio Duarte is getting better and better after his early crash and I would expect him to get in the morning break. Robinson Chalapud is chasing the KOM jersey but after his crash on Stage 14, I doubt he’ll be up for it already. Instead, look to Jarlison Pantano who already have been in numerous breaks this Giro. 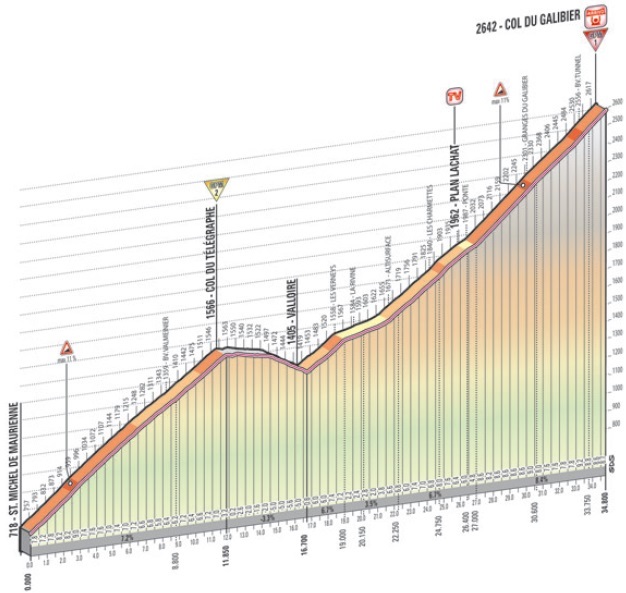 Yesterday I said that Stefano Garzelli was targeting Stage 14 and he was, but without Sestriere it didn’t really make much sense for the climbers to attack early. Instead Garzelli took it easy - he finished 20 minutes behind teammate Santambrogio - and I think he saved his energy for Galibier. His late friend, teammate and mentor Marco Pantani had one his best days on the bike on Galibier - when he won the Tour in 1998 - and winning on this climb will definitely be very special for Stefano Garzelli in his last Giro d’Italia. This is also a special stage for AG2R. The French team have two of the best climbers in the race in Domenico Pozzovivo and Carlos Betancur and they will be eager finally to take a stage win, especially on French soil. Hubert Dupont was with Pozzovivo and Betancur at the beginning of the final climb on Stage 14 and I think he will try to get in the morning break. First of all with eyes on the stage win but also to help Betancur or Pozzovivo on the final climb if the break gets caught. I know Pozzovivo is aiming at this stage and being 5 minutes behind Vincenzo Nibali in the GC, he won’t be the first rider Nibali starts chasing down with a late attack. Last 4 km are cancelled. 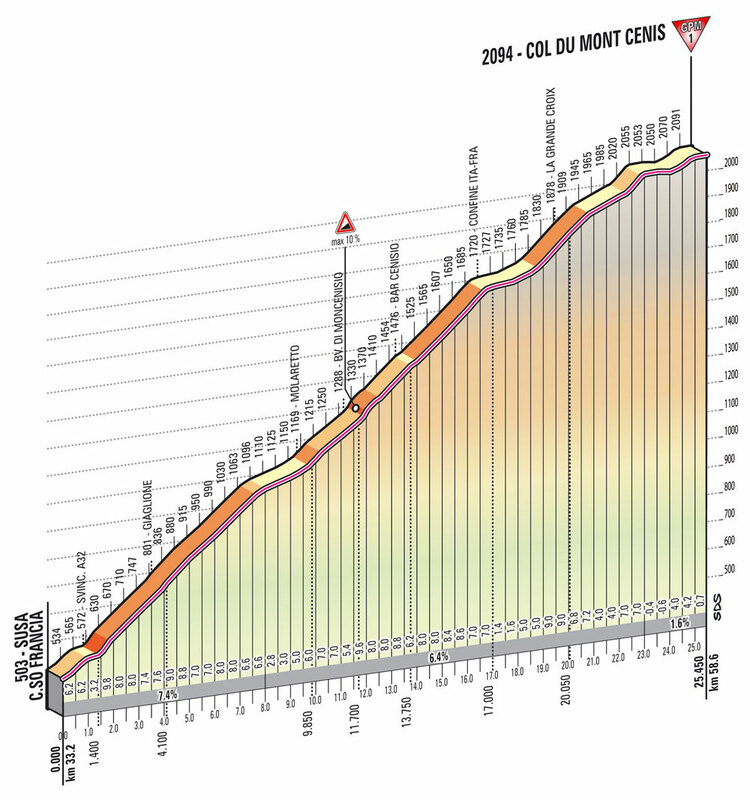 With the new finish next to the Pantani monument, the last 4 km will be the steepest of the climb with an average gradient around 8%. 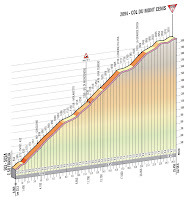 The climb kicks up with 17% on the final 500 meters and this is surely is the place to put in a final attack. Mauro Santambrogio and Vini Fantini finally got their stage win on Jefferau but that doesn’t mean they will stop trying. Santambrogio is one of the best climbers on the steep percentages and together with Betancur and Pozzovivo - and Nibali of course - he is one of the big favorites. I think a breakaway will make it this time but if not, I except one of the tiny AG2R climbers to take the win.